When she didn't know what else to do, she'd go for a walk. She would leave the triplets at home on the living room floor, blocked in by the couch on one side, the coffee table on the other, a line of pillows and books on either end. Leaving them there, surrounded by toys, seemed kinder than putting them in their cribs, behind bars, or forcing them out into the world. At eight months, they were coordinated enough to pull up on the coffee table, but could not yet climb over, and though they could wave bye-bye, she preferred not to. She would slip away while they were absorbed in gripping and releasing plastic rings, babbling to each other in their private language. She never stayed out longer than two hours. When she returned, she'd find them asleep, or playing in slightly altered positions, rarely crying. The click of the front door made her heart seize. A moment of panic overcame her; what, she imagined, an agoraphobe would feel when confronted with the great outdoors for the first time in months—so much space, so many possibilities. But the panic flashed and was gone, leaving her flush-faced, giddy. Sauntering down the sidewalk, she lifted her hands to run her fingers through the leaves. 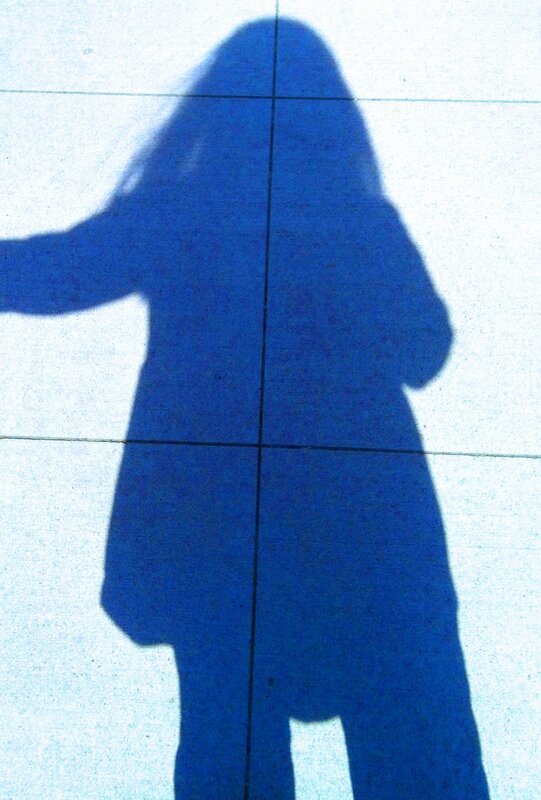 She watched her shadow stretch alongside her and thought, There I am. As a little girl, she used to dream about hopping a freight train, like her grandfather had when he was 17. A wad of tobacco in his cheek, he'd balance on the back legs of the kitchen chair and regale her with stories of a sky so wide and blue it made your brain hurt, of towns there and gone in the blink of an eye, of craggy mountains like the faces of old men, disappearing into the clouds. He'd speak of buddies known only by their nicknames. Shorty, who was tall. Boston, whose accent he imitated to make her laugh. Buck. Reverend. One-eyed Sam. Her grandmother would swat him with the dishtowel, tell him to sit upright and stop filling her head with lies. He'd wink at her, and she would try to picture him, young, strong, swinging up into a boxcar, but she saw herself instead. In town, she would take her time in the five and dime, wandering up and down the aisles, picking up one impractical thing after another. Sometimes she'd slip a spool of pink ribbon, a yellow plastic bird whistle, a tube of peach lipstick, a package of cherry-flavored cough drops into the pocket of her dress. With each step, she felt the weight of her treasure against her thigh. Later, whatever she had taken would be folded into the life of the house: the ribbon used to tie back the triplets' sparse hair, the lipstick worn out to dinner with her husband, the cough drops grown dusty on the pantry shelf, the bird whistle stepped on and broken. But for now, those items were hers, and the theft made her feel powerful, singular. Those afternoons—she was untouchable. Idly, she wondered what would happen if her husband came home early. He always returned with a shiny face and the pungent scent of sweat, as if he'd been doing manual labor instead of working in an insurance office. "Bippity," he'd say, picking up one of the babies. "Boppity," picking up the next. And the third, "Boo." Every evening, the same. She'd mouth the words as she waited in the doorway for him to come kiss her. Bippity. Boppity. Boo. A man of routine; she couldn't imagine him changing his ways now, for her. After the five and dime, she would go to the café on the corner and order coffee and a greasy grilled cheese sandwich, a slice of peanut butter pie—indulgences she would never allow herself at home. She'd eat until her stomach strained, and then she'd sigh, toss her napkin on the table, and sit back, look out the window. Easily, she slipped into that other life, a stranger passing through. By nightfall she'd be gone, on to the next adventure, and before her eyes, the town became fleeting, beautiful, until she no longer recognized it as her own. That's when she'd know she'd strayed too far. The panic would return. Imagining the house on fire, the living room empty, the triplets vanished, she would throw down money for the bill, grab her purse, and run out the door, arriving home, heaving for breath, to find her girls right where she had left them. After the triplets were grown, her husband dead five years, she told the daughter who most reminded her of herself about those afternoons of freedom. They'd been drinking Riesling on her daughter's screened-in porch, and never a heavy drinker, she was feeling the wine's effects. It was late June and sticky hot, dusk settling slow. In the yard, her grandchildren played on the swing set, their voices carrying. "You just left us there?" her daughter said, hand stilled in its reach for the wine bottle. "We were babies. Helpless. Anything could have happened." "But it didn't," she said. "You were fine." Her daughter turned away. "I can't believe you did that." With startling clarity, she remembered the damp leaves against her fingertips, the weight tugging down her dress pocket, the bitter taste of the coffee, the guilt that followed. She closed her eyes, and it was all still there. She realized why she'd told her daughter: she wanted to be absolved, she wanted to be heard. "You don't understand what it was like," she said. But her daughter wasn't listening. Opening the screen door, her daughter called for the grandchildren to come inside, get ready for bed. "I'd never leave them," her daughter said, each word a small, hard stone hurled in her direction. "I never could." Courtney Elizabeth Mauk is the author of the novels Orion’s Daughters and Spark. Her work has appeared in The Literary Review, PANK, Five Chapters, Necessary Fiction, and elsewhere. She teaches with the Sackett Street Writers’ Workshop and lives in Manhattan with her husband and infant son. Please visit her website for more information.